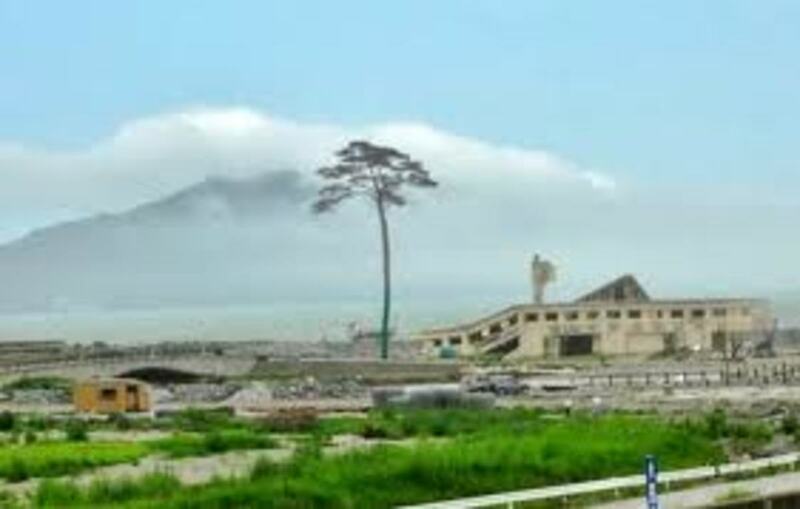 This week&apos;s two-year anniversary of the March 11, 2011 Japan tsunami has revived interest in the curious story of the Rikuzentakata Miracle Pine. What you think of the story tends to reflect the language in which you read it, however. The only remnant of a coastal forest washed away in the tide, the pine is widely cited in international press accounts as a symbol of local resilience amid the tragedy. Before the tsunami, the pine had been part of a 70,000-tree greenbelt dating to the Edo period. The tsunami felled the other 69,999 trees in the space of a few minutes. The problem came a few months later, when recovery crews took a good look at the tree. Saltwater had infected the local groundwater, rotting its roots. Though standing, the Miracle Pine was nearly dead. Cutting the Miracle Pine down last fall. It was sent to a lumberyard 3000 miles away for treatment and reconstruction. 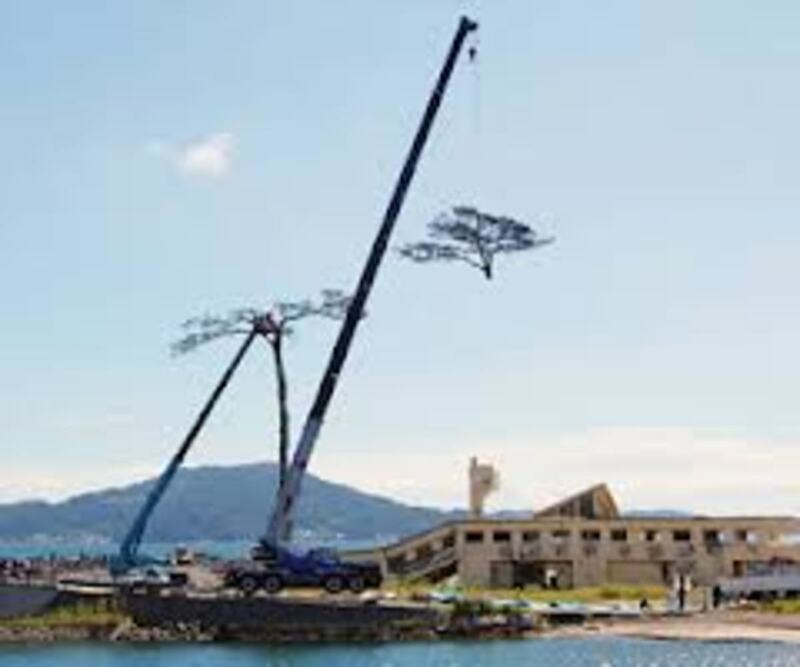 Last fall, local and federal officials in Japan hatched a plan to convert the Miracle Pine into a monument to the more than 19,000 people lost in the tsunami. They decided to chop the tree down, cut it into nine sections, limb several weakened branches, and hollow out diseased parts of the roots and trunk. After several months work, they would re-assemble the tree around a new, carbon fiber strut installed in the trunk and re-attach the limbs, with some plastic leaves. The sculpture/tree hybrid was re-assembled over the past several weeks, in time for this week&apos;s second anniversary of the tsunami. The resulting conversation around the tree revealed a split in local and international appetites for sentimentality—and money. Most non-Japanese accounts of the 150 million Yen ($1.5 million) project have been overwhelmingly positive: a "symbol of hope for thousands of people," said Australia&apos;s News.au. That&apos;s pretty typical of Anglophone reaction. Japanese reaction is more mixed. From an account in Japan Today. Once the news hit, comments on Internet message boards such as 2ch were overwhelmingly against this project. Nearly everyone cast sentimentality aside and questioned the logic of spending millions of yen on an essentially dead tree. “I guess we don’t need to donate any more money if this is what they are spending it on now,” mentioned one commenter. Others felt that creating something out of the wood from the tree like a Buddha statue would be a cheaper and more meaningful option. Some took that idea further saying if they’re going to spend that much money they should “give it some legs” or “artificial intelligence” as well to make a real “mechapine.” Others took an opposite route suggesting that a natural death returning the tree to the Earth would be a more dignified fate. 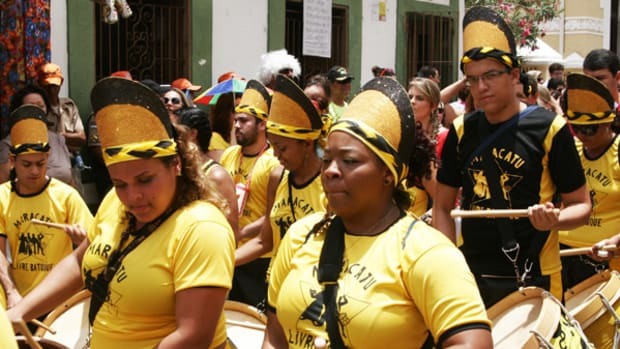 Those who spoke to the Daily Yomuri were less flip but perhaps more melancholy. "I feel rather miserable" as the pine tree is no longer alive, farmer Katsuteru Hatakeyama, 71, said. "The lone pine tree has already been impressed on our minds, so I think it has fulfilled its role," said a 60-year-old woman, who declined to be named. Could embalming the mangled Fukushima reactors in plastic resin be the answer??? The U.S. isn't the only country experiencing election fever right now.